Descriere: Fond de Ten Cover Recover. A breathable SPF30 medicated camouflage foundation [Cover], using cutting edge technology to provide superior cooling, moisturising and healing properties. [Recover]. 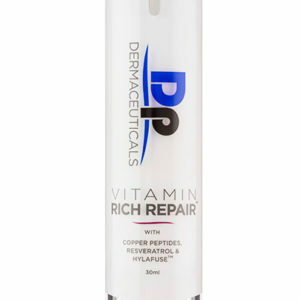 Although Cover Recover was designed as a NON NEGOTIABLE to aid in recovery, cooling, calming and to provide coverage for post-procedures such as Dermapen Treatments, the stimulating anti aging affects and light-weight breathable coverage of this product makes it a ”FAVOURITE” everyday SPF Foundation for those who try it. Instructiuni de utilizare: As an immediate follow up to skin rejuvenation treatments, apply a small amount to each section of the face and gently pat Cover Recover all over the face, until a flawless cover has been achieved. As homecare, after cleansing the skin, apply a small amount to each section of the face and blend gently across the entire face. Avoid contact in eyes. Post procedure NON NEGOTIABLE – test for yourself, try on ½ face after Dermapen treatments and witness the remarkable difference. Reduces inflammation and redness. Anti-bacterial probiotics and cooling agents instantly refresh and soothe and guard against free radical exposure. Nourishes and hydrates. Softens the appearance of fine and deep lines. Encourages intensive regeneration and repair, lessens downtime. Weightlessly veils skin instead of “coating” skin. Buildable and Buildable coverage from sheer to full. Contains light diffusing minerals to blur imperfections with self-adjusting pigments for a flawless finish. 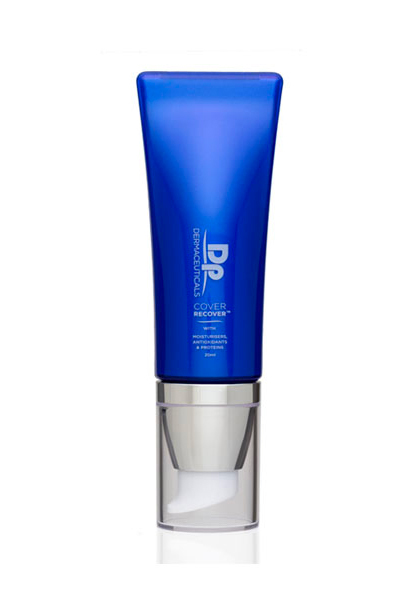 Tinted water – resistant Broad spectrum non-chemical SPF 30 delivers ultra violet UVA & UVB protection. Suitable for all skin types and skin conditions aged, pigmented, dehydrated, problematic, post-operative and every day medicated SPF Foundation. So gentle and pure, you can sleep in it. Inainte de tratament: Use as a everyday SPF and breathable foundation replacement. 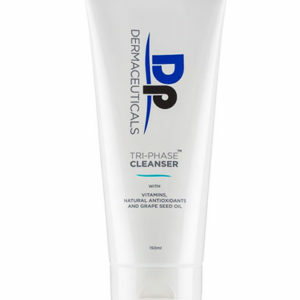 In timpul tratamentului: Immediately post Dermapen or rejuvenation treatments, apply to clean dry skin as a protective layer against free radical damage including sun UVA/UVB rays. Dupa tratament: Essential protocol to continue to use post 5 days Dermapen and rejuvenation treatments. SPF: Titanium Dioxide: A mineral-derived, broad spectrum sunscreen that is non-comedogenic, designed to maximise ultra violet and free radical protection. as a physical sun-protectant, titanium dioxide does not cause allergy like many chemical absorbers. Zinc Oxide: A mineral derived, broad spectrum sunscreen that is non-comedogenic. as a physical sun-protectant, zinc oxide does not cause allergy like many chemical absorbers. zinc is paramount in collagen and elastin synthesis, increased wound healing. Healing: Vitamins and Antioxidants: A, C, E, Pyrus Malus (Apple) Fruit Extract, Vitis Vinifera (Grape) Seed Extract, Beta Carotene. 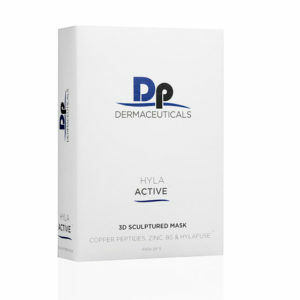 Anti-Aging: Copper peptides: Clinically proven to revitalise aged cells to stimulate refreshed and renewed collagen production. The skin is visibly plumped with increased volume and firmness. Hydrating and Nourishing: Hylafuse Complex: A triple weighted Hyaluronic Acid complex that effortlessly absorbs into the skin to promote maximum hydration moisture infusion and long lasting comfort. Hydrolyzed Vegetable Protein: Containing all nine essential amino acids required by the human body and many non-essential amino acids that form the building the blocks of natural moisture factor for increased epidermal water retention. Phospholipids: Enhances Barrier Function And Reduce The Feeling Of Tightness And Discomfort. Proline: An Amino Acid Found Naturally In Collagen And Natural Moisture Factor. Jojoba Esters: Enable effective barrier function. Jojoba esters enhance skin comfort and reduce the sensation of tightness. Silicones: Silicone’s ability to both repel water (as a waterproofing agent) but to also form an occlusive (but breathable second skin) to seal in moisture and to prevent water loss. This is one reason why silicone sheets are commonly used in hospital burn and surgical units to deliver rapid skin protection and repair. Furthermore, as silicone traps water so efficiently within the skin, it prevents the formation of scar tissue by promoting elasticity, pliability and flexibility during the repair process following trauma. Unlike oils, silicone cannot trap heat within the skin. This makes an excellent topical post-operative solution following laser, IPL, skin needling, radio frequency and surgical procedure. This also means silicone may be safely used to protect and seal skins with 1st, 2nd or 3rd degree burns. Non-comedogenic and non-irritating. Silicones used in Cover Recover have been designed to glide on the skin smoothly, encapsulate and deliver active ingredients, cool and repair traumatised skin, create a breathable second skin. Probiotics: Saccharomyces Lysate Extract: A probiotic yeast compound rich in antioxidants, reduces inflammation, protection against bad bacteria, aids in increased immunity and strength. Peppermint oil: (Mentha Miperita) – Aromatic essential oil rich in antioxidant polyphenols and flavonoids, creates a cooling and refreshing sensation. peppermint oil possesses antibacterial and antiseptic qualities. Fond de Ten Cover Recover A breathable SPF30 medicated camouflage foundation [Cover], using cutting edge technology to provide superior cooling, moisturising and healing properties. [Recover].